Posted December 8, 2015 by Craig Carey & filed under Uncategorized. This is not another reference to the European Championships. I’m talking about goal-setting. Giving yourself something to aim for in a hope to become a more fulfilled person. Goals give us a sense of direction and something to aim for. Whether it be to get another 10kg on your bench press or another £10k in your bank account, goal setting is a proven way to make things happen. Don’t just have ideas either. Write your goals down and share them with people who you think may support you. And if you want the best chance of success, make sure your goals are SMART. S – Specific. What, where, how? Define your goals clearly so you know exactly what you’re aiming for. M – Measurable. Establish definitions that allow to track your progress and know when you have succeeded. A – Attainable. Make your goal ambitious but realistic. Becoming a flying superhero is not a realistic goal. Sorry. R – Relevant. Is your goal appropriate to you and the stage you are at in your life? No point wasting time and energy on pointless goals. T – Time based. Give yourself a target for when this goal should be completed. Otherwise it’s likely to not happen at all. A new year is always a good time to reflect and look forward. How have the decisions you have made affected your life over the past year? Could you have done things differently for better results? Were your decisions based on a certain mindset that could be holding you back from a more enjoyable life? Our life is not set out for us. We have the power to take our life down limitless paths. This all comes down to our decision making skills. Our decisions are often ruled by our outlook. If your outlook is bad, your decisions are likely to be bad too. Guess what the results will be. Make sure you head into the new year with your head held high, a smile on your face and a skip in your step. A good outlook won’t guarantee you a perfect year but it will help you to control the things that are controllable in a positive manor. This is something many of us suffer with. Whether it be forgiving someone else or forgiving yourself. Most of the time by not forgiving the errors of others all we do is hold on to a bitterness that affects only our own happiness. The past is the past, do not let it determine your future. As for your own mistakes, these are all part of self-development. Learn from them, but most of all, as 2016 starts, forgive yourself and move on. We’ve all heard the saying ‘Health is Wealth’. Well although good health isn’t going to pay the bills it will certainly enrich your life. Try and make the new year a time to focus on the important things in life. Surely your own health and ability to live your life to the fullest is of high priority. If you consider yourself to be healthy then give yourself a pat on the back and carry on. Maybe even jump things up a gear. If you are not healthy then make a change. Forgive yourself for letting your health slide, set yourself some goals and start enjoying a better lifestyle. Be more active and eat less crap. I promise you it’s worth it. Time. Never enough of it when your need it yet a minute plank feels like an eternity. Unfortunately time is one of those things we can’t control. No matter what we do, those seconds, minutes, days and years keep ticking away. However, we are in control of what we do with our time. Given, some things are an unwanted necessity and take up some of our precious time. However, with good time management we can best utlilise the rest of our time for maximum quality of life. If we spent less time moaning about what little time we have, even that would free up some time. Use a diary and plan your time. Be realistic with what you can do with your time so as not to render yourself rushed and stressed. Don’t waste time doing things that don’t have some benefit. Try and find time for others too. Being selfish with your time is not always the best way to happiness. So there we have it. 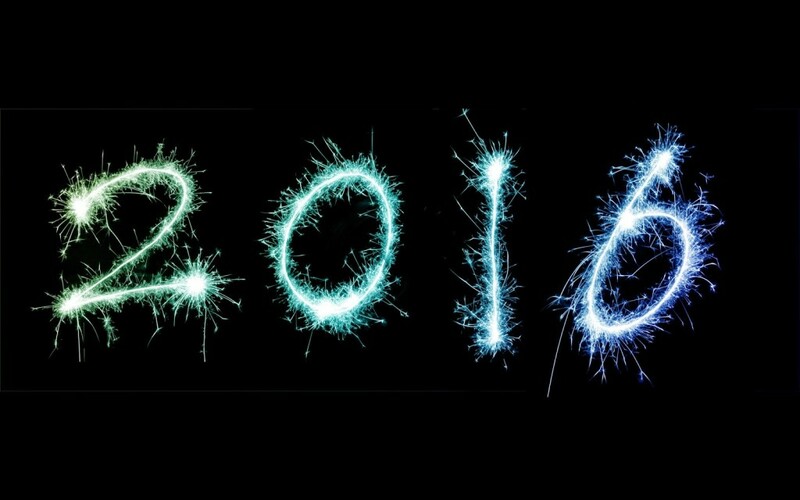 My 5 tips for a healthy happy 2016. Now get that diary out, set some goals, and get ready to take on the New Year.